On May 13, 1981, the anniversary date of the first apparition at Fatima, Pope John Paul II was shot by a Russian hired assassin. The Pope’s injuries were severe and he was rushed to the hospital bleeding heavily. Thanks to the overall good health of the Polish Pope, he survived the serious injuries but not before saying famously that the Virgin Mary’s hand had guided the bullet away from his heart. While recovering in the hospital, Pope John Paul II began to focus on the coincidence that the assassination attempt occurred on the anniversary date of the first Fatima miracle. After much prayer and meditation, he sent his trusted aide, Bishop Pavel Hnilinca, to Fatima to gather all the information he could find on the events. Bishop Hnilinca brought many documents back from Fatima including the envelope that contained the mysterious “third secret of Fatima”. In a homily in 2006 Bishop Hnilica spoke of Pope John Paul II’s great interest in Fatima during his stay in the hospital. The Fatima apparitions would inspire Pope John Paul II to look to Our Lady for help in combating the evils of Communist atheism and his commitment to fulfilling her requests would eventually lead to successfully completing the consecration of Russia on March 24, 1984. But three years before Russia’s consecration and just days after the Pope left the hospital something remarkable happen that would also aide greatly in Pope John Paul II’s efforts to defeat atheist communism. . On June 24, 1981 six young visionaries claimed that the Virgin Mary had appeared to them in the communist country of Yugoslavia. 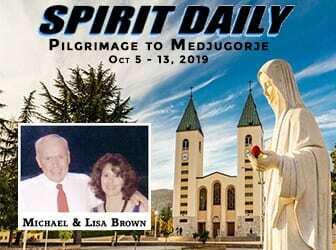 The Pope soon learned of the events taking place in the small village named Medjugorje and became immediately drawn to mystery. 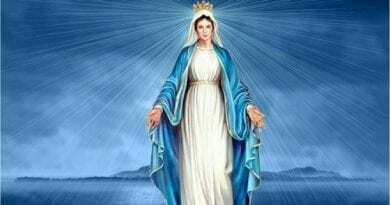 It was not lost on the Pope that the reported claims of Marian apparitions were taking place in a communist country. 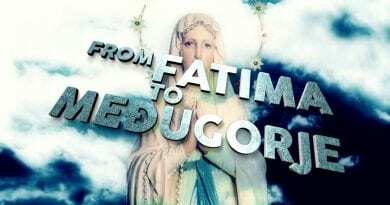 Bishop Hnilinca who had been intimately involved in Pope John Paul II interest in Fatima, was again summoned to look into another Marian event – the alleged apparitions taking place at Medjugorje. Pope John Paul II showed his friend a book about Medjugorje written by Rene Laurentin, the greatest Marian theologian of the 2oth century. Reading passages to Bishop Hnilinca, Pope John Paul II stressed that the messages of Medjugorje are closely related to those of Fatima. 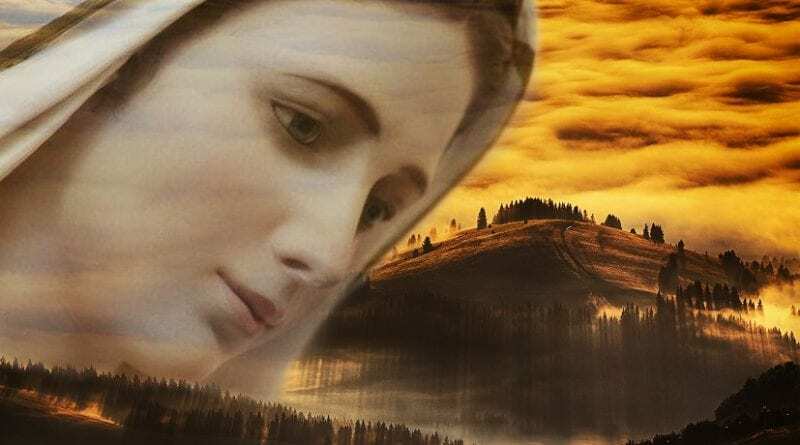 Pope John Paul II’s interest in Rene Laurentine’s book about Medjugorje is significant in that they contained mysterious messages from the Virgin Mary – messages with prophetic overtones. In October of 198 on the anniversary date of the Miracle of the Sun at Fatima October 13, The Queen of Peace made predictions about the future of Poland and Russia. It is important to note that the earliest messages from 1981-1983, recorded by the parish in Medjugorje (Information Center MIR Medjugorje, www.medjugorje.hr), were confiscated and destroyed by the communists police.But fortunately, a second set of recordings were found that contained the 1981-1983 messages from the Virgin Mary to the visionaries. Fr. René Laurentin, and Professor René LeJeune had tapes of the early messages. They were originally recorded in French, and translated into English by Juan Gonzales Jr., Ph.D, and great care was taken in their recording, translation, and compilation. 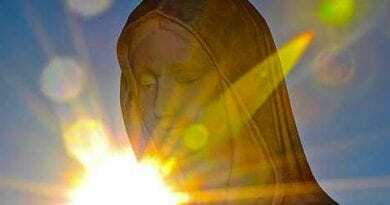 In October of 1981, the Virgin Mary told visionary Marija Pavlovic: Russia will come to glorify God the most; the West has advanced civilization, but without God, as act as though they are there own creator. Today, the United States Government is taking away religious freedoms like never before and moving forward into the future with a toxic relationship with people of faith. Major corporations have gathered their torches and pitchforks alongside government and joined the rebellion as well. Facebook censures images of the crucifix, TV hosts call Christianity a “mental disorder” and everybody laughs, major universities hold classes mocking Christianity with topics like “Christian privilege”. Pro-life organizations are labeled as “Hate groups”. In contrast to USA’s growing hostility towards Christianity, the Russian Government is funding the restoration of Orthodox Churches with public tax dollars. Inaugural ceremonies are attended by patriarchs, and priests armed with Holy water and incense. Russian Orthodox Bishops are regularly seen at military installations conducting religious ceremonies, chanting prayers, carrying icons of the Virgin Mary and madly tossing holy water everywhere. Recently, Russia named a nuclear submarine after a Russian Saint. The submarine named Aleksandr Nevsky is fitted with an Russian Orthodox chapel. Putin unabashedly declares Russia’s “identity”is inextricably tied to its Christian roots. But this is in stark contrast to how this word is used today by those in powerful positions – celebrities, media elites, and government officials who shape culture in United States. Gatekeepers of modern culture in America rejoice in the marvelous splendor of word “Identity”. In fact the word has turned into its own powerful political movement called “Identity Politics” and we are told that a coalition of “identities” is a path to some kind of utopian bliss for everybody. Everybody of course unless you identify as a Christian then its very likely you will be identified as the enemy. The mystery of the rise of Christianity in Russia, the enigma of what drives Putin and the answer to the riddle of the possible outcomes of two nuclear powers with a tenacious commitment to their own righteousness – one spiritual, the other secular – lends powerful weight to Churchill’s enduring description of Russia. Ominously, in an almost mysterious, perhaps even a celestial way, it seems Russia and the United States are on some inevitable path towards conflict guided by an invisible, sinister force determined to usher in the apocalypse. Stephen Ryan is the author of the political thriller and Amazon best-seller, “The Madonna Files” and owns and operates the Catholic news site “Mystic Post”. Mystic Post has over 40,000 Facebook followers and generates over 300,000 pageviews a month. 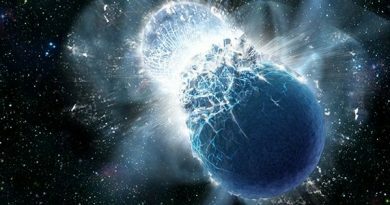 Scientists Report Two Stars Colliding in 2022…Is This The Garabandal Prophecy About The Warning? 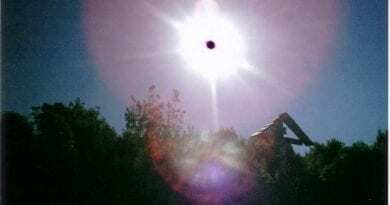 April 17, 2018 ryanmysticpost Comments Off on Scientists Report Two Stars Colliding in 2022…Is This The Garabandal Prophecy About The Warning?